Since 1924, Minnesota had been playing on campus in the rustic, yet deteriorating Memorial Stadium. 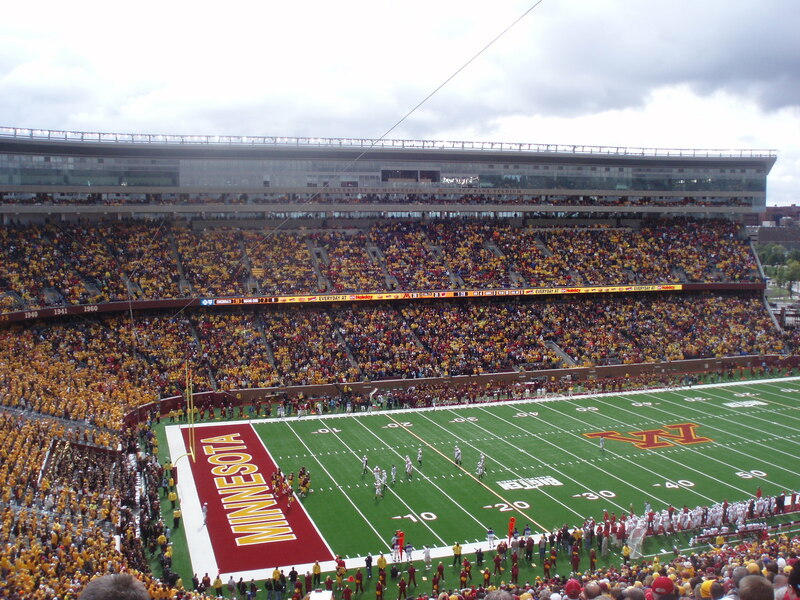 Due to its need for renovation and the lack of state funding, the university chose to abandon the classic old stadium and move the Gopher football program into the Hubert H. Humphrey Metrodome being built in downtown Minneapolis. Since 1982, Minnesota has been playing its games in the oversized bubble surrounded by steel and concrete. The only part missing to Minnesota’s sparkling brand new TCF Bank Stadium is Paul Bunyan’s Axe in the trophy case. Wisconsin has owned this series since 1995 and would love to tarnish the inaugural season in the Gopher’s new digs by keeping the Axe in Madison. Northwestern has been that annoyance on Minnesota’s schedule the past few seasons. Last minute heartbreak seemed to be Minnesota’s game plan against the ‘Cats. However, this season would be different. Northwestern made certain to keep the game close enough to palpitate hearts in the stands. A storybook season has been unfolding for the Badgers. November has arrived and they are undefeated pointing at Pasadena and perhaps a national title. However, their method for success has been far from pretty. Wisconsin’s dump truck offense collects yards slowly and monotonously. Defense has been the Badger’s calling card as they have held every opponent they have played to under twenty points, and most under ten. They win convincingly even though by small margins. How can a team that loses six of their last seven still be in the running for a decent bowl game? Leave all wacky possibilities to the crew from Madison. So many losses suffered by slim margins may destroy the morale of most groups, but Barry Alvarez’s Badgers thrive on adversity. The return of quarterback Brooks Bollinger and runningback Anthony Davis helps too. Davis finished this day tying a school record with five touchdowns. In addition, he toppled the 300-yard mark in a game that finally saw Wisconsin finish with an exclamation point. Just in the nick of time. 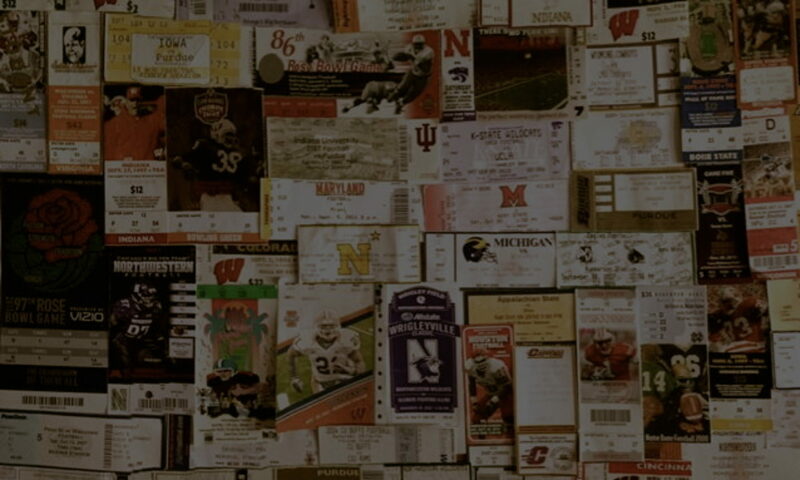 With a loss, Wisconsin would have been banished to their couches to watch the bowl season from a distance. Instead a resounding victory over their largest rival lofted them one win over .500 and sending them to San Antonio to play Colorado in the Alamo Bowl. On a day where fans could barely see their hands in front of their faces due to the heavy fog, Ryan Field in Evanston was far from full. Add rain to the recipe and the atmosphere was most certainly dampened. Minnesota strode in on a losing streak while the Wildcats were looking to regain top twenty-five status after being slammed by Ohio State the week prior.